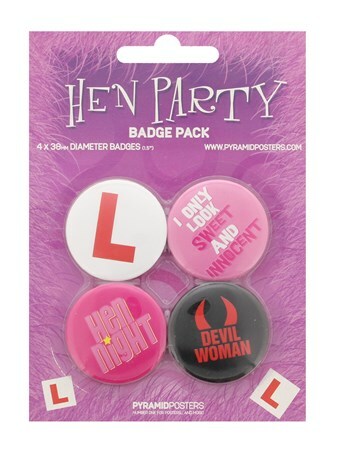 Party Badge Pack: This fun badge pack contains the essential kit for any hen party, 'L' plates included. With four individual badges, including, 'I only look sweet and innocent', 'Devil Woman' and 'Hen Night' designs, this pack is a must have for any bride to be. Show the world how naughty you can be before you settle down with the one you love with this hilarious badge pack that will ensure you go out with a bang! High quality, framed I Only Look Sweet and Innocent, Hen Party Button Badge Pack badge pack with a bespoke frame by our custom framing service.